For musical paddles down the stream, make friends with Syllabub Swan Grey Chime. 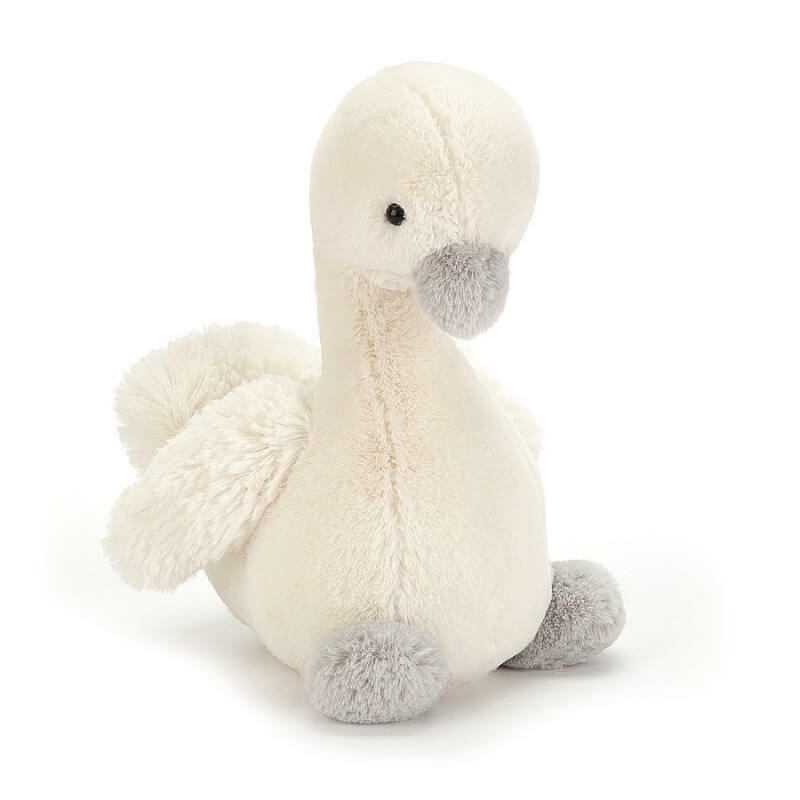 The perfect present for restless newborns, this tubby swan is feather-soft. With bobbly wings and a big squishy tail, she's huggably sweet in gentle greys and creams. What a swanderful chum!